In 2015, Big Bang celebrates its 10th birthday. 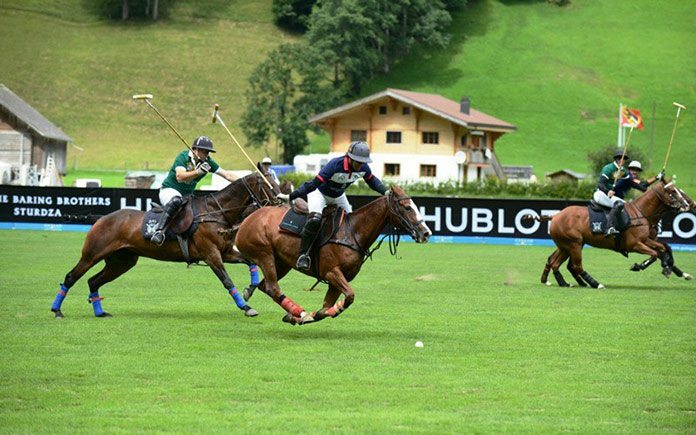 Also in 2015, the Hublot Polo Gold Cup Gstaad turns 20. A magnificent spectacle was enjoyed by fans of polo and VIP Guests from 14 to 16 August 2015, in the magnificent setting of Gstaad, in the Bernese Oberland, for the 20th anniversary of the Hublot Polo Gold Cup Gstaad. The festivities kicked off on Friday evening, after a parade of the players and their horses through the centre of the village of Gstaad. Hublot invited all the guests to a reception in front of the store. To celebrate the double anniversary, Jean-Claude Biver, Chairman of Hublot and the Watches division of the LVMH Group, was accompanied by Pierre Genecand, Chairman of the Hublot Polo Gold Cup Gstaad, in blowing out all the candles on an enormous cake shaped like a Big Bang. A unique cake to mark a unique occasion! The highlight of the tournament was the 20th anniversary parade. After all the different qualification events over the weekend, Sunday afternoon culminated in a 45-minute show on the pitch. The Treichler (bell ringers), the Gothard carriage carrying Jean-Claude Biver and Pierre Genecand, the entire staff of the Palace Hotel, children from local schools and the Berner Dragoner all took part to delight the guests with a magnificent spectacle. With players on the bill from Argentina, Switzerland and Italy, the world’s best were in attendance on the weekend of Switzerland’s biggest polo tournament. Following much deliberation from the tournament officials the decision was made to change the format of the final, taking into consideration the safety of the players and ponies, the waterlogged pitch was deemed too dangerous to play a competitive match. The final was replaced by a 4-chukka exhibition match. The four team-patrons and the four best players of the tournament were split into two teams to play in a non-competitive manner. The teams remained head-to-head throughout each chukka until the final whistle blew with a finishing score of 7 – 7. Team E.I. Sturdza Investment Funds and Team SIR crowned winners of the 2015 Hublot Polo Gold Cup Gstaad. Jean-Claude Biver was on hand to support the teams and present the winners with a Big Bang Aero Bang Red Magic Carbon, a model chosen specially for this anniversary.